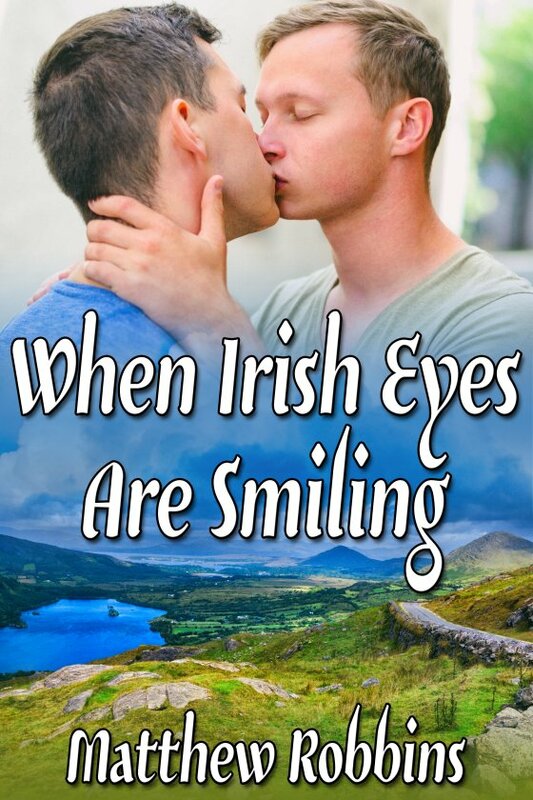 When Irish Eyes Are Smiling by Matthew Robbins is now available! Felix is in real trouble this time. Not only did he wake up nearly naked in a foreign country — drugged and abandoned as a prank — but soon he finds himself being interviewed by the police after crashing the truck of his handsome rescuer, Ronan Malloy. The only way for Felix to make amends is to work off his debt on the injured Ronan’s shabby, struggling farm. Ronan Malloy and his grandad Lorcan have big plans for their ancestral farm. Their new boutique cheese will put Malloy Cheesery the map. But he hasn’t struck it rich yet. Between the bank and his scheming neighbor, he has enough troubles and doesn’t want to deal with an untrained Yankee on top of it. Although Felix resents having to stay behind as his friends continue their backpacking adventure across Europe, he begins to see that farm life isn’t so bad. Ronan’s charming smile and sparkling eyes are an added bonus. And Ronan learns soon enough that the Yankee isn’t as helpless as he thought.